Chicken broth is our life blood here. We eat in in some dish every single day. When it’s healthy bone broth it’s so good for you! I’m going to be downsizing my freezer soon and I wanted to find a new way to store our chicken broth. Generally I freeze it in broth cubes but what I’ve started doing lately is making dried chicken broth, it takes up much less space! Mmmm, liquid gold. This batch was so nice and thick too! You can read all about cooking a whole chicken and making chicken broth here. 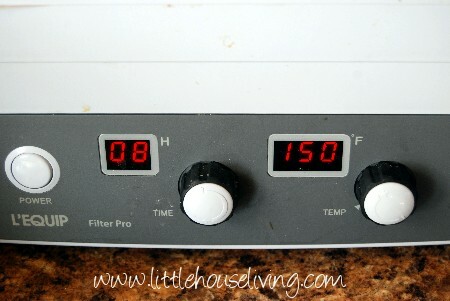 Set your dehydrator on 150 degrees for 8 hours. 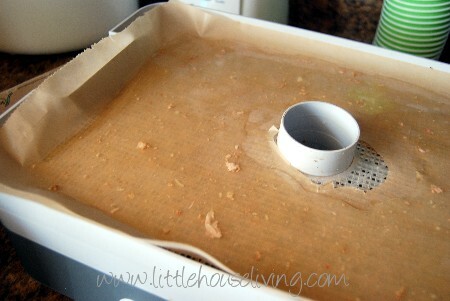 You may need more or less drying time depending on your dehydrator so check it often. You want to make sure it’s very dry when you are done with it. 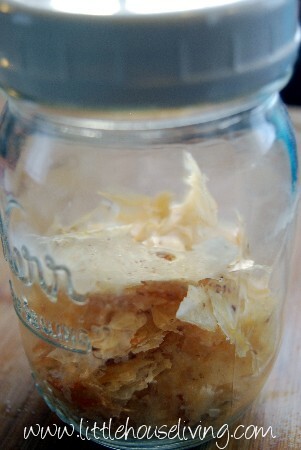 When it’s all very dry, remove the dried chicken broth from the dehydrator and break it into pieces. When you are done you have some perfect dried chicken broth powder! Of course unless you added salt this will be far less salty then store bought broth so you may not be able to use it as a 1:1 replacement for other broth in recipes without adding a little extra seasoning. 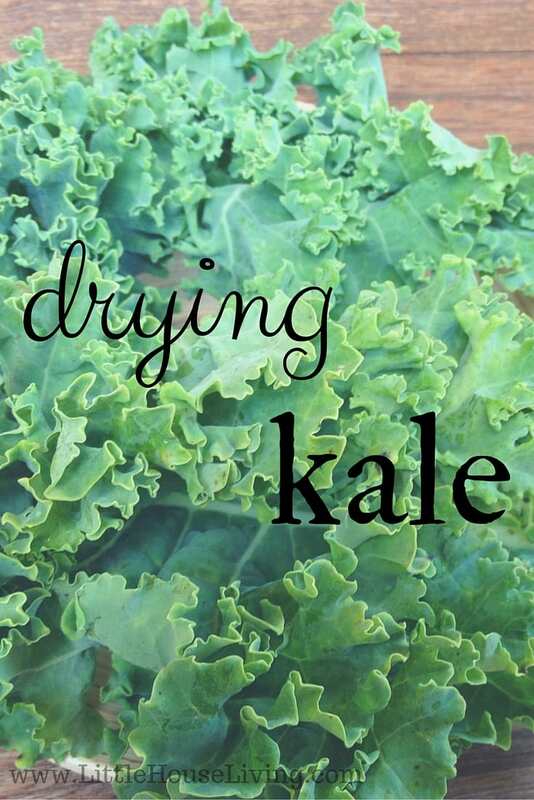 Store it in a jar with a lid in a cool dark place or in the fridge. Of course you can always can your chicken broth too if the goal is just to save freezer space! 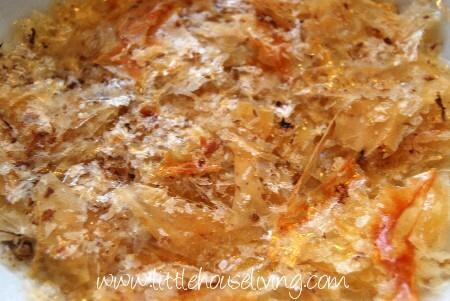 You should also be able to make this recipe in the oven if you don’t have a dehydrator. 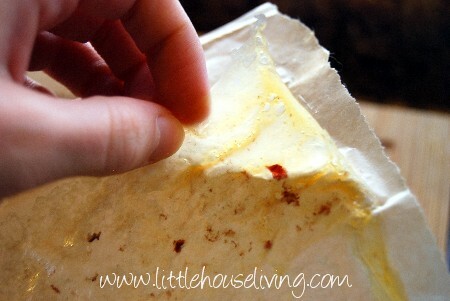 Just follow the same directions and put it on a very low heat (under 200 degrees) until dry. You will want to watch it very carefully. 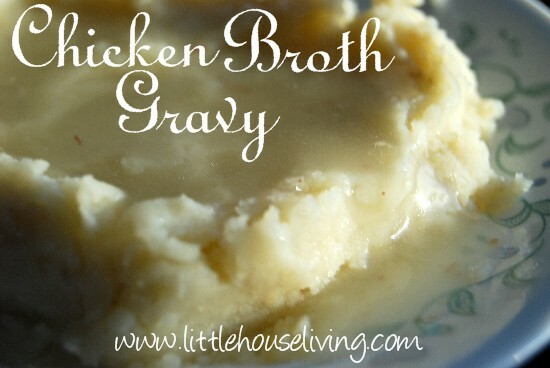 Do you make chicken broth regularly? Wow, I never thought about drying chicken broth before, but it sure would take up a lot less space than freezing it! Thanks so much for sharing this! I would never have thought to do that! 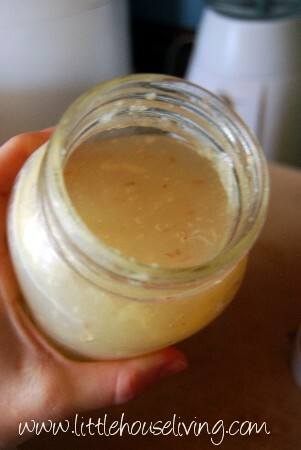 I just finished my batch of broth this afternoon… I ran the chunks through my vitamix and it is a fine powder. How did you keep it from running all over? I cooked my broth way down as a head start, but it was still very runny, and I couldn’t get it to stay on the trays. I linedmy trays with plastic wrap, but they are wide enough to need 2 pieces, and the broth was running under the seam. Was your broth thick? I used cooled broth so it was very think and gelatinous when I put it on the trays. 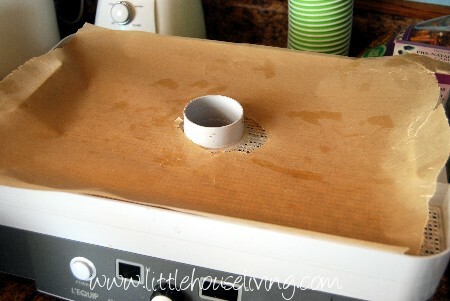 Then I didn’t move the trays at all while it was drying to make sure it didn’t sloosh. It was still warm when I put it on the trays, and it was sloshing all over. I will have to try with chilled broth. How long will this keep in the jar? It should be good for a few months. I haven’t actually tested how long it will last. Of course with no preservatives it will eventually go bad. I will own a dehydrator one of these days. I love this ! 1. Is it okay to season the broth just the way you want it in the end before dehydrating, i.e. adding all the salt you need? 2. Will this dehydrated broth need to be refrigerated, or what is the best way to store it after dehydrating it? 3. How do you reconstitute the broth to its original form? 4. How does the taste compare to when the broth was originally created? 5. Finally, what is the difference between chicken broth and chicken stock? And can only chicken broth be dehydrated? I’m assuming maybe it’s the addition of vegetables. We were gifted 24 pumpkins. We gave 7 away and then pressure canned 4 making 28 quarts. HOWEVER, the best thing we ever did was dehydrate them. After dehydrating, we used a spice grinder to make powder. THREE pumpkins fill a one pint jar!!! Talk about space saving===One Pint VS. Twenty-One Quarts!!!!! When I dehydrate the broth, I’m going to use the spice grinder and see how much I can put in a pint! It’s my new game. How much will fit in a pint? LOL! Thank you for all you do!